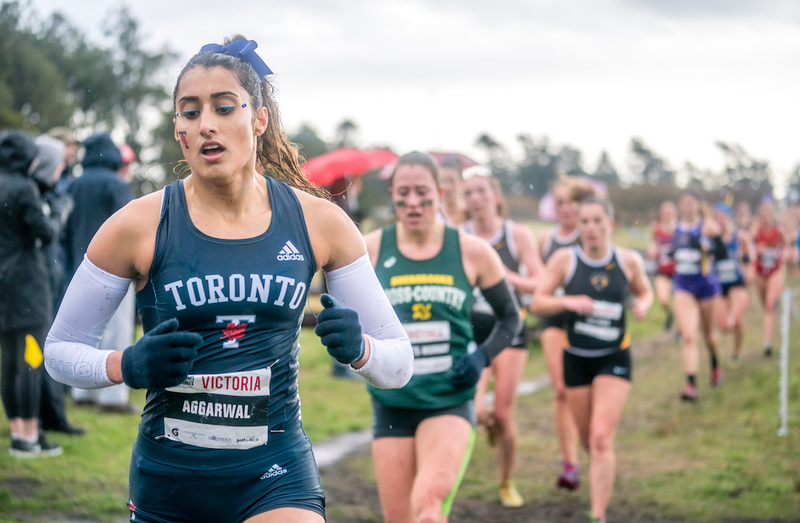 It was a close race throughout but in the end the Laval Rouge et Or claimed their first U SPORTS Women’s Cross Country Championship on Saturday afternoon at Fort Henry Hill in Kingston, Ont. Laval finished with two individual medalists as Aurélie Dubé-Lavoie and Catherine Beauchemin claimed the silver and bronze medals individually. Combined with two more All-Canadians in Anne-Marie Comeau and Jessy Lacourse and a 37th place finish from rookie Jade Bérube gave Laval the top spot with a total of 55 points. The Rouge et Or finished seven points ahead of second-place Queen’s and 53 points ahead of third-place Guelph. "We're really happy. It's our first time winning a national championship,” said Laval head coach Félix-Antoine Lapointe “The team has improved a lot over the past two years. We did the race we had to do to have a shot to win. I'm really proud of the girls, they raced hard and smart, they improved in all of the places they needed to in the last half of the race. “We like competing here (at Fort Henry), the course is great but of course the weather was not easy, a lot of wind and it was cold. We've been training in this kind of weather in Quebec City over the past couple of weeks so the girls were ready to run fast even with the weather not being easy." Brogan MacDougall crosses the finish line to win the individual gold medal! The host Queen’s Gaels, who had been ranked No.1 all season fell just short of the national title with a team total of 62. The individual national champion was also a rookie as rookie Brogan MacDougall ran a 27:48.6 to claim the gold medal. Her sister, Branna, was close behind with a ninth-place finish for the Gaels. 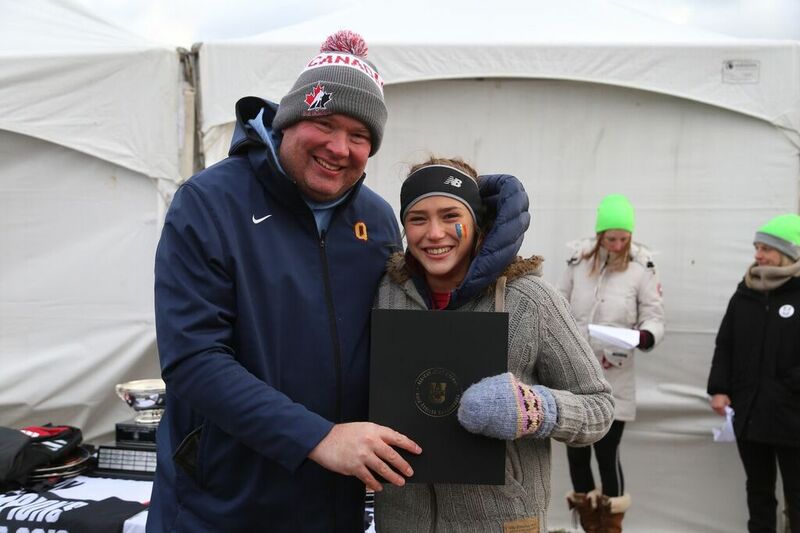 Brogan not only finished as the Athlete of the Year but was also the top rookie for the women. 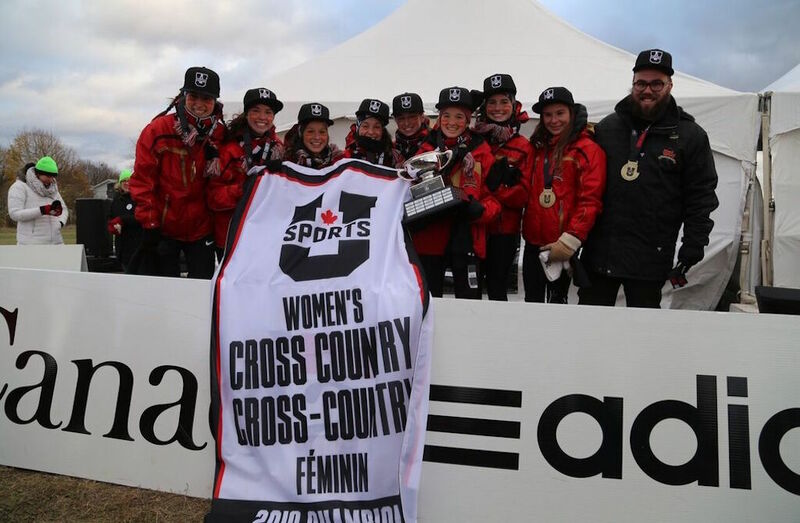 For Laval, they become the first RSEQ school to claim the U SPORTS national title in women’s cross country.